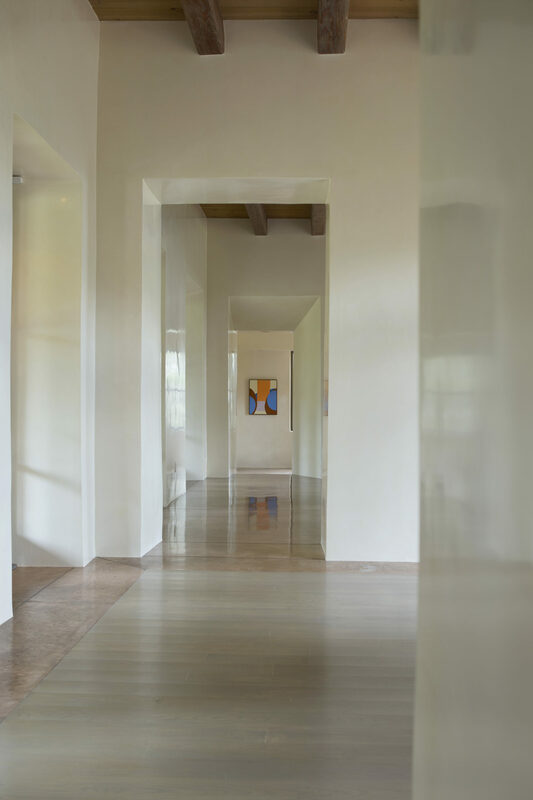 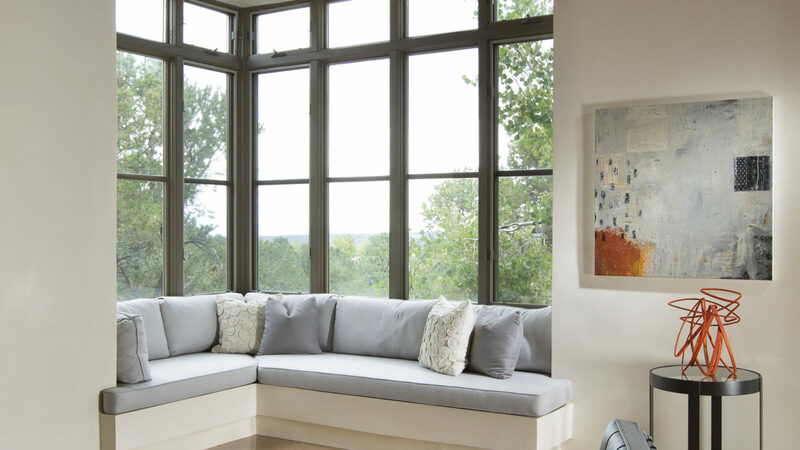 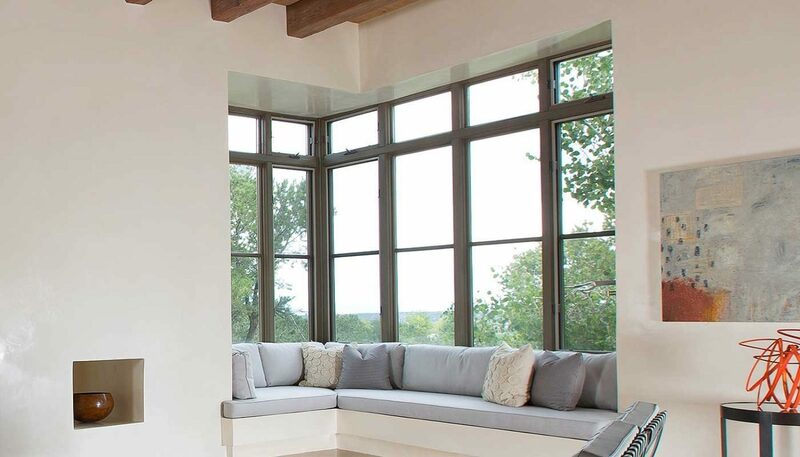 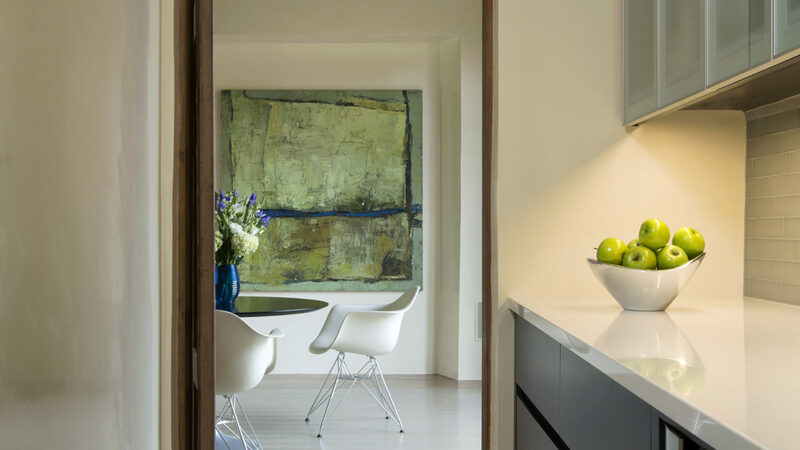 This Eastside Santa Fe custom remodel blends the best of traditional architectural design with sleek contemporary interior lines and elements to create a compelling dwelling in which to display the art gallery owner’s collection of abstract art. 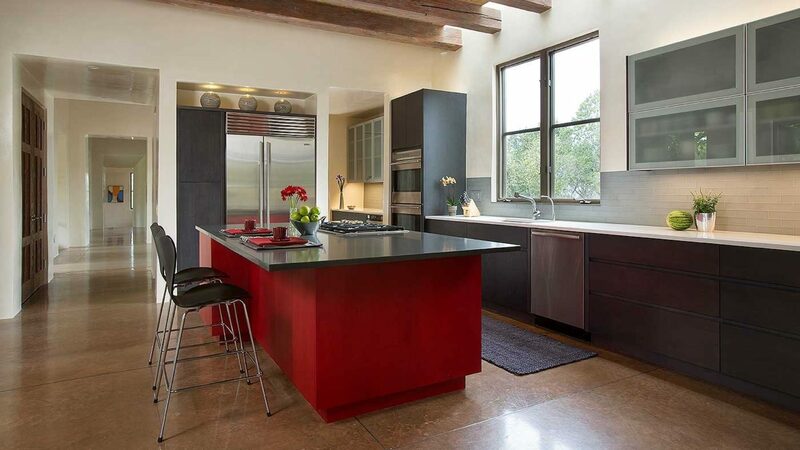 The use of dramatic accent colors of red, black and green, evident in the walls, fabrics and cabinets compliment the starker neutral palette tones of honed concrete floors and creamy plaster walls. 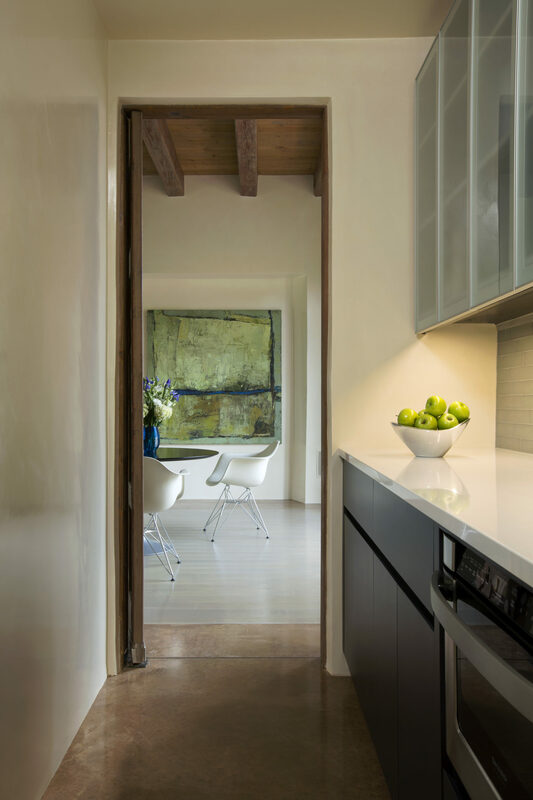 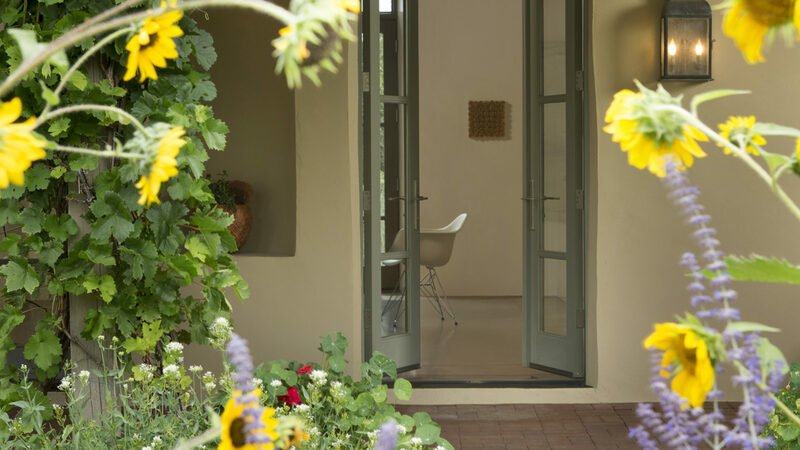 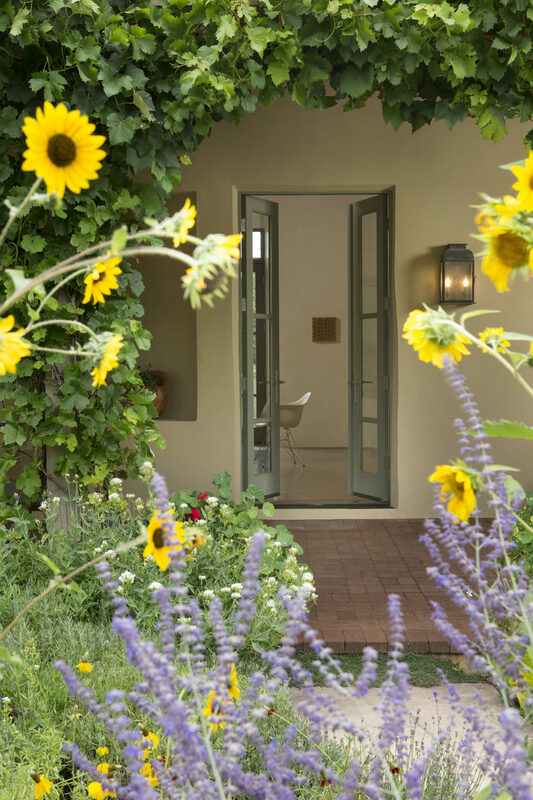 The finished product achieves the inviting warmth of Eastside Santa Fe with the artistic preciseness of Canyon Road, in which it shares its backyard. 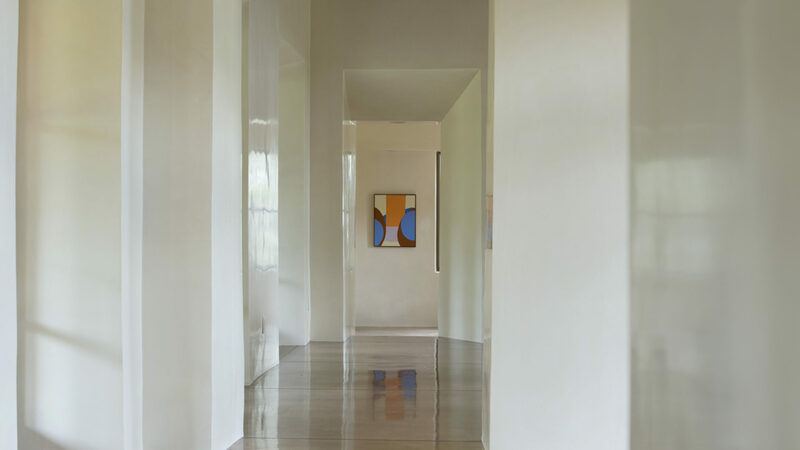 A piece of art in and of itself! 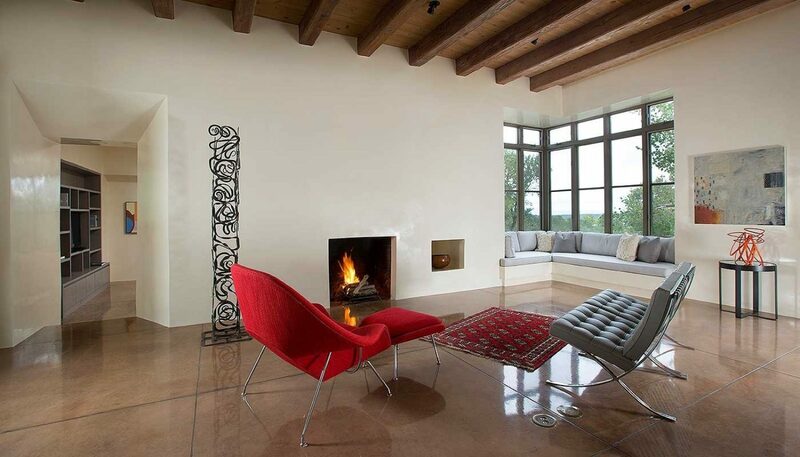 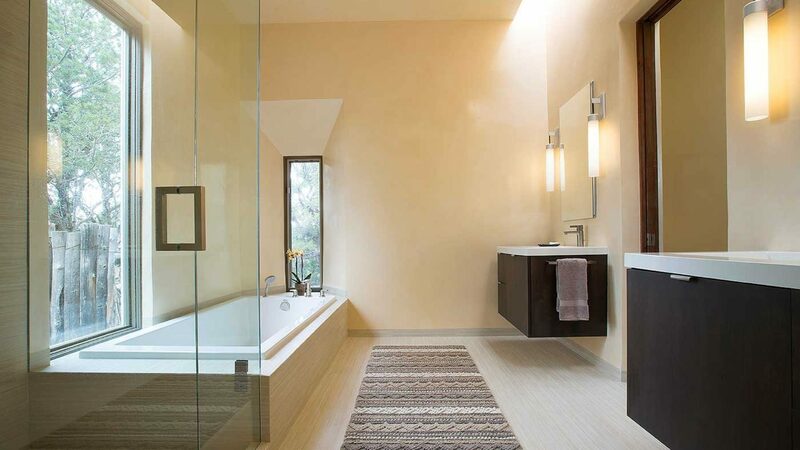 The beautiful contemporary home is located at the base of the Atalaya Mountain of Santa Fe.